Authors have always used pen names. Some do so for anonymity to protect their identity while others to write in another genre or topic. Edwy Searles Brookes was a British novelist who used countless nom de plumes: Berkeley Gray, Victor Gunn (perfect for a mystery writer! ), Rex Madison, Carlton Ross, and Reginald Browne just to name a few. Born in a suburb of London in 1889, Brooks found success early in life. His first publication, a short story titled “Mr. Dorien’s Missing £2000” was issued by the magazine Yes and No when he was 17. A 3,000 word piece, it was his first paid “gig,” and he earned thirty shillings. 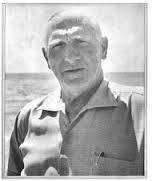 Three years later he was tapped by The Gem to write a serial named “The Iron Island.” The premise is that of a man who is marooned on an island by a gang of crooks. The man, Philip Graydon, manages to escape and return to England where he exacts revenge on the men who put him on the island. The story ran for two years! Released from The Gem when the editor was let go, Brooks fumbled a bit to find other publishers who would take his stories. His personal papers includes numerous rejection letters from this time period. 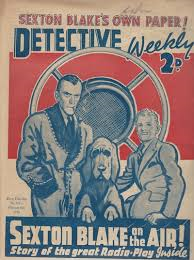 The following summer he was able to sell a series of Clive Deering detective stories to the magazine Cheer Boys Cheer, but sales for the next three years were intermittent. Then came Nelson Lee and Sexton Blake. 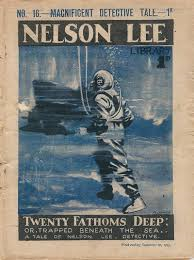 In 1915, The Nelson Lee Library was launched, and The Sexton Blake Library to his dossier. Brooks was a prolific writer, and he partnered with his wife Frances to complete each story. By all reports, he was a plotter, meticulously outlining each book. He created character “bibles” in order to keep an account of each one to ensure accuracy in any future references to them. An inveterate researcher, the shelves in Brooks’s office included train timetables and medical books – mostly about poisons. At the time of his death, Brooks had written over one hundred books and more than two thousand stories!